I have been receiving loads of messages asking about those dashing jodhpur that are fast becoming the gold standard for formal wear for everyone from royalty to the runway watchers. So, here goes a quick primer. Jodhpurs: Ready to make the jump? Jodhpurs are not a new invention. In fact, they are almost 125-years-old. This style of trousers was first made famous by Maharaja Pratap Singh of Jodhpur in 1890, when he wanted free movement of the hip and thigh while riding a horse on the polo field. These jodhpurs were rapidly taken up by the British polo-playing community and were soon being produced by Savile Row tailors in London. By the 1920s, ladies began wearing jodhpurs as well – one of the most famous proponents being Coco Chanel. 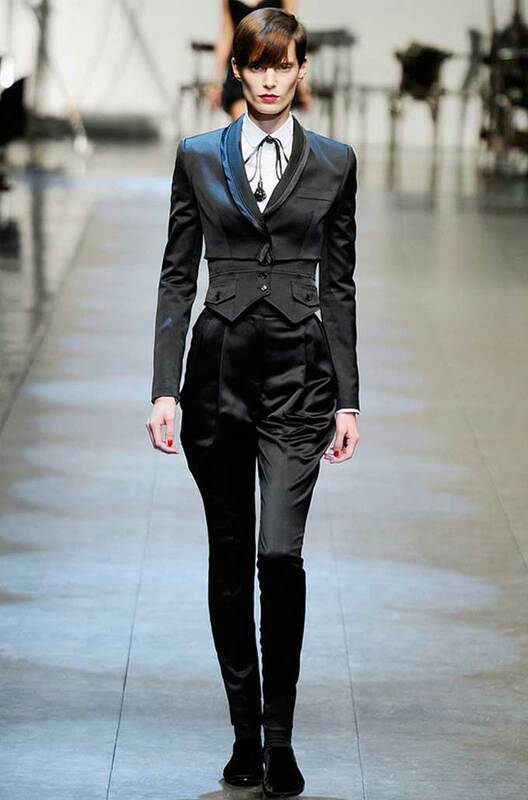 Today, jodhpurs have been picked up by design houses ranging from Gucci and Ralph Lauren to Etro and Dolce & Gabbana. The classic versions are still cut full at the hips, fit tightly from knee-to-ankle and end in a cuff with a strap under the instep. Some of the more experimental varietals, however, use modern stretch fabrics to remove the flare and yet remain supportive and flexible. However, to me these newer versions just don’t evoke any of the romance of watching dapper young men striding through a polo field (or a red carpet) full of daring and an almost brash bravado that tempts and tantalises with its very insouciance. And though everyone in the world of haute couture is scrambling to produce these regal garments, somehow their very charm still lies in the small by-lanes of the towns that first invented them more than a century back. Looking for the original stuff? You won’t go wrong with Jodhpur Tailors, which is still patronised by Jaipur’s royalty! PS: The word jodhpurs is often used interchangeably with riding breeches, though this is technically incorrect, as breeches are riding apparel that come down to only about mid-calf, designed to be worn with long stockings and tall boots. In India, jodhpurs are typically paired with a Nehru jacket – usually in contrasting colors, with decorative buttons. Not a fan of the Nehru jacket? Pair your jodhpurs with a sports jacket. Single vented jackets work best for a formal look, while a two-buttoned sports version perfectly complements a more casual occasion. The jackets can be patterned or solid colored but the jodhpurs themselves should never have any patterns. As for the shirt, make it classic and well fitted; wearing loose shirts will give you a lumpy appearance and add bulk. As for footwear, opt for close-fitting boots or oxfords. Look for a pair of jodhpurs with pockets set at the front, not the sides, as the latter will accentuate your hips. Jodhpurs that are too tight in the leg will make your calves look fat – the safest option is to buy a pair with buttons from calf to ankle, which can be adjusted while wearing. Keep it chic and classic with a simple silk shirt, a classic black polo neck or a high-necked collar blouse and cropped jacket. And ALWAYS tuck in your top and accentuate your waist with a belt to avoid looking like a sack of potatoes. A final word: NEVER accessorize your jodhpurs with equestrian props. So skip the riding boots and instead look for stack heels, platforms, patent round-toes or shoe-boots.